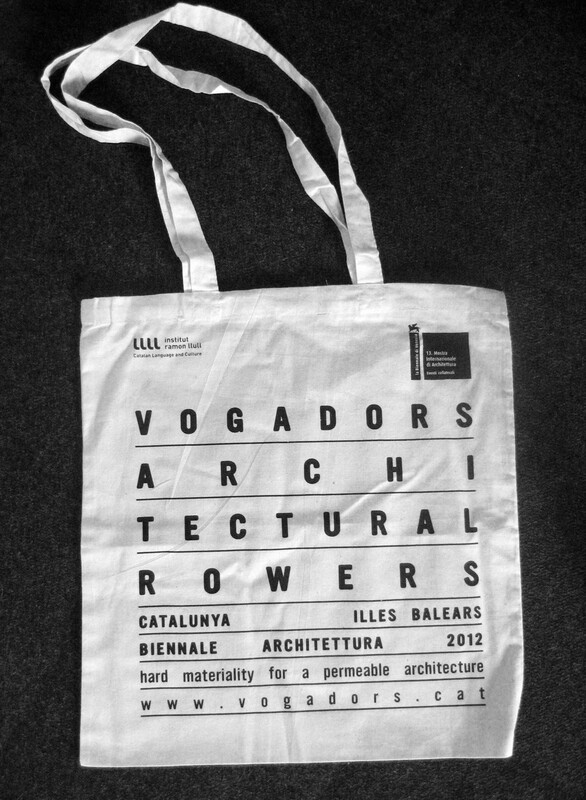 As part of the 13th Venice Architecture Biennale Ramon Llull Institute presents an exhibition dedicated to the Catalan and Balearic architecture: Vogadors | Architectural Rowers. 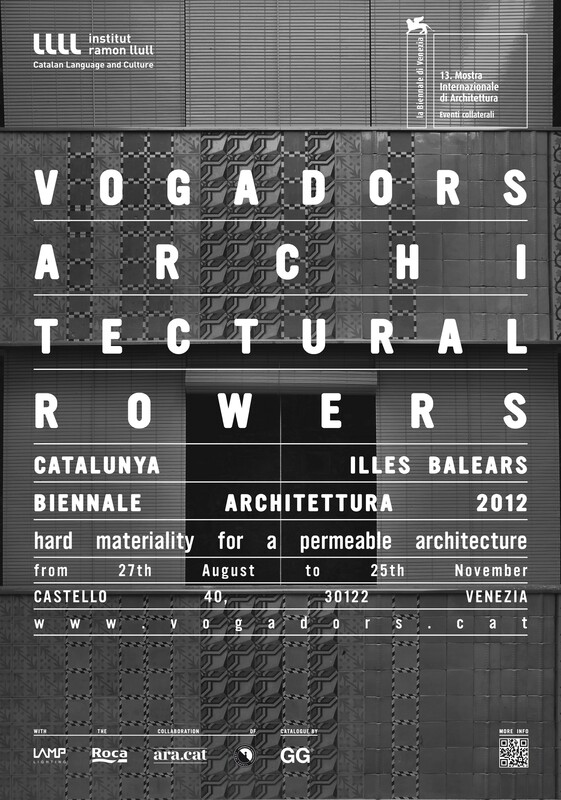 Catalan & Balearic Threads: Hard materiality for a permeable architecture, curated by Jordi Badia Felix Arranz. The access area introduces the visitor down a narrow hallway, dark and low up to the end of the nave, forcing the exhibition?s way on one direction: from the end of the nave towards the exit. 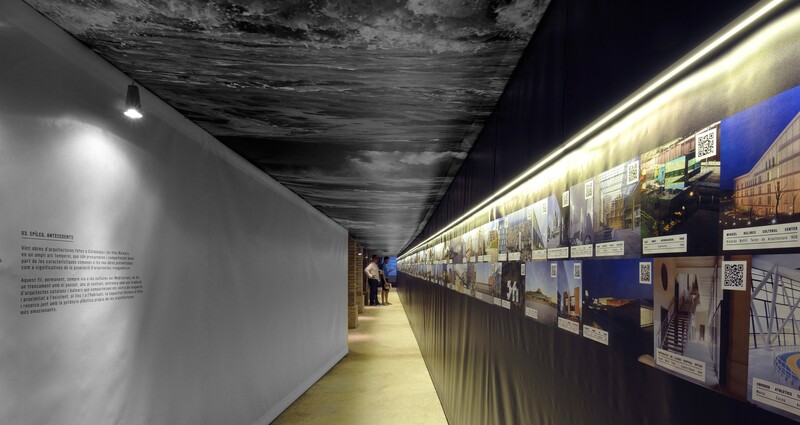 A rough seas picture is printed on the canvas that builds the entrance, and speakers fill the hall with the sound of the waves evoking a walk underwater. The exhibition is structured by different hung canvases (showing sea on one side and images of the selected works on the other). 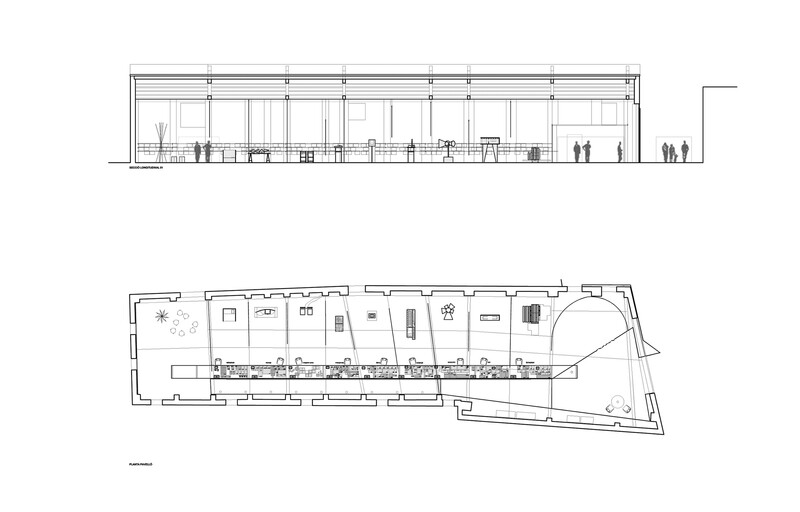 Those define the different areas and allow the exhibition to be built with minimum resources. 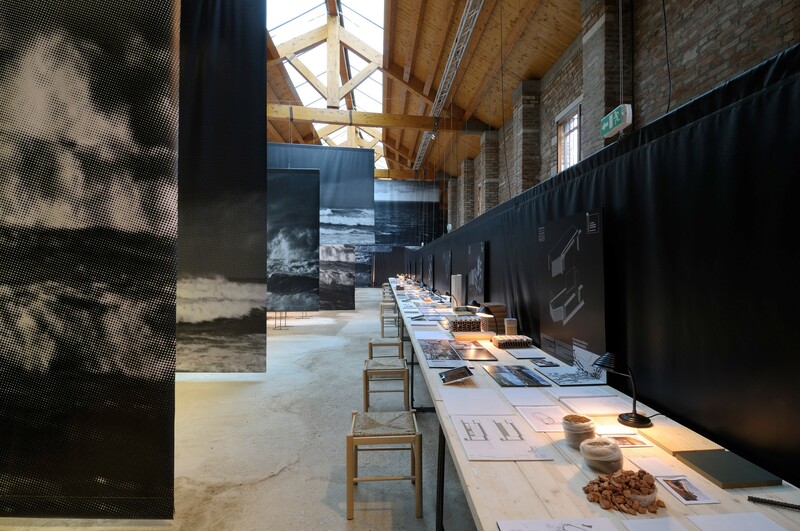 In addition to the printed canvas the arrangement is completed by a long table made out of pine boards, which are commonly used in construction, and supported by steel rods. 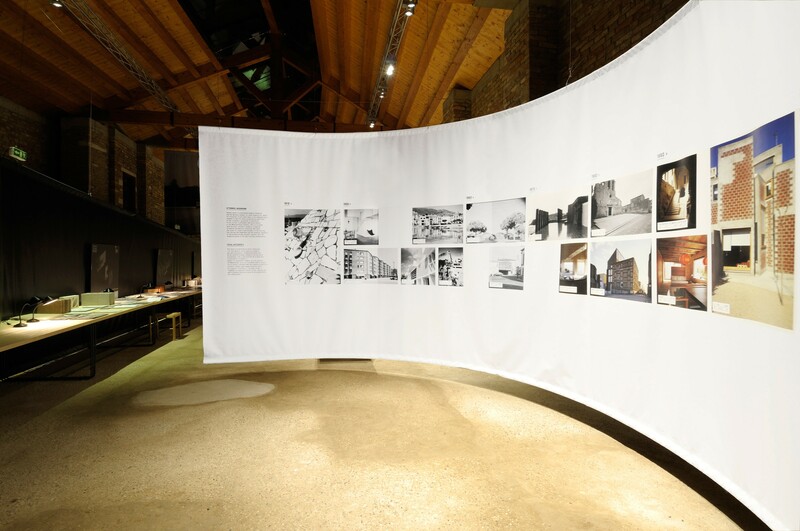 The nine projects presented are explained by a large image of the architecture and an object provided by the nine authors. 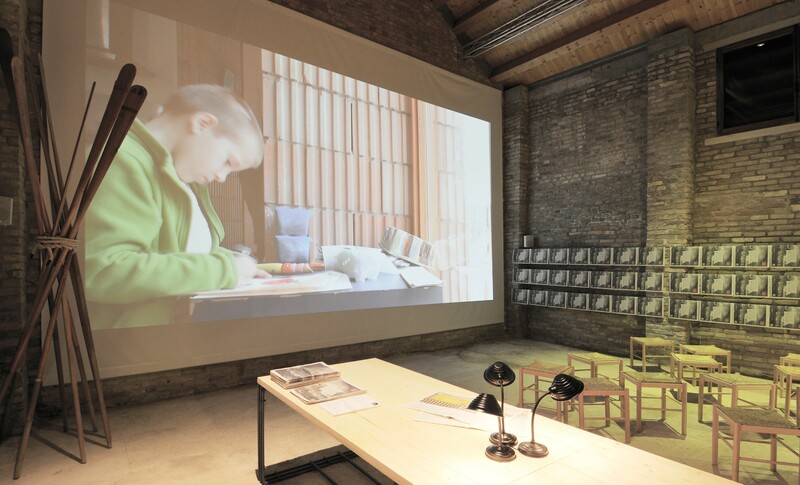 The remaining information necessary to understand the project (drawings, images, materials and models) is displayed on the table for a paused reading. The individual and compliable catalogues for each work, made in a newspaper support, are appended in one of the nave?s walls, covering it. 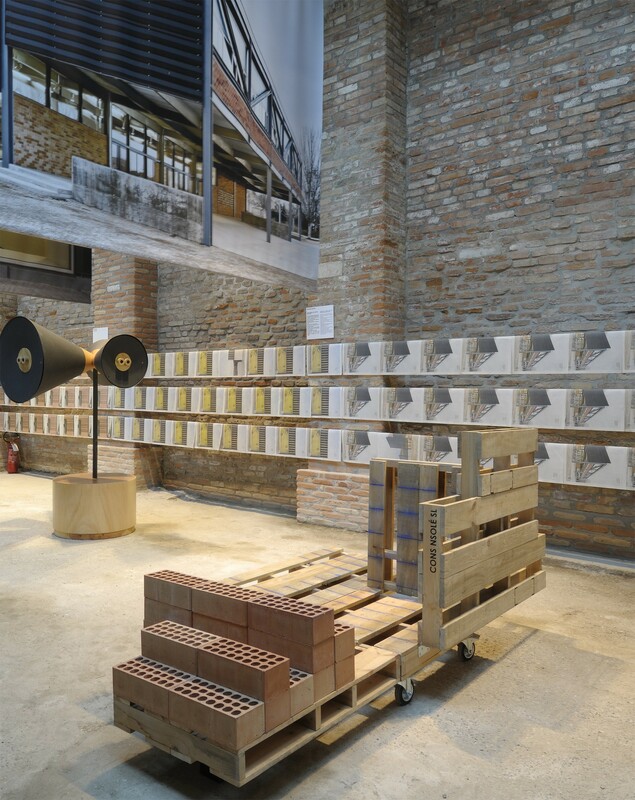 Throughout the days the exhibition will be on, the catalogues will progressively disappear marking the pas of time in the exhibition layout and allowing the visitor to interact physically with it. 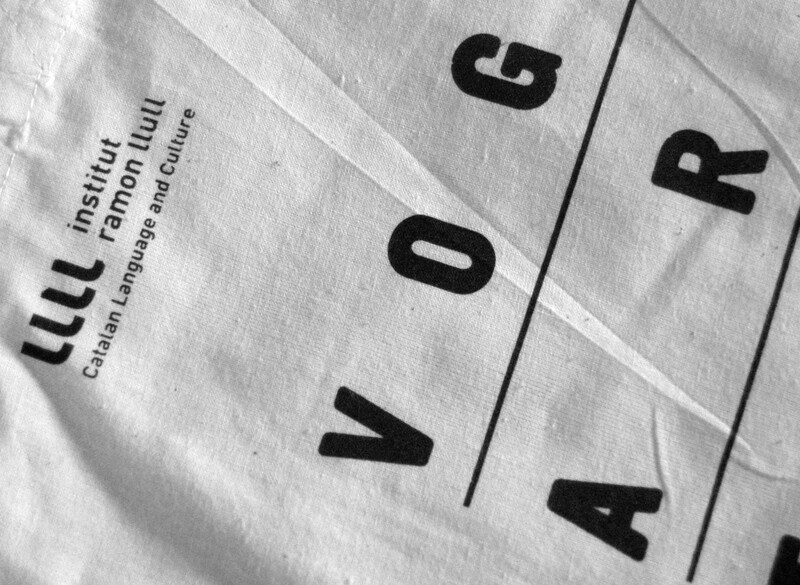 The exhibition catalogue is a digital book and has textbook format. It is a 10 collectable fascicle catalogue for iPad produced by the Editorial GG and for sale in iTunes. 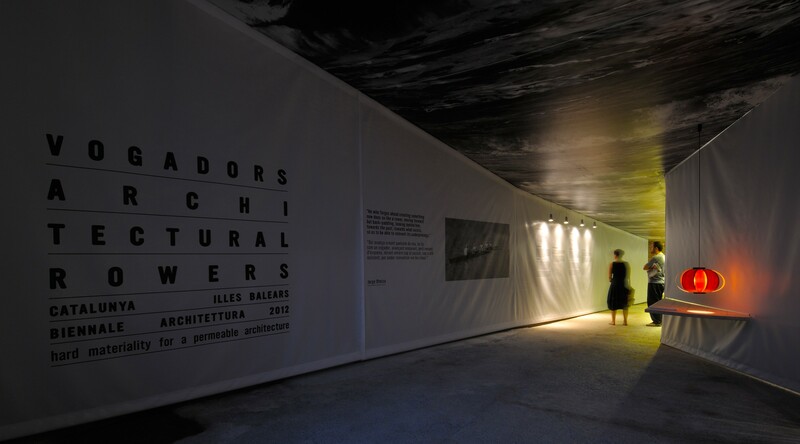 It contains extensive multimedia material on the 9 projects and the thesis.